If you work in a secondary school or are interested in personalising education for secondary school children, we can help you to make positive change. We work with schools, parents and pupils using person-centred thinking tools, because we believe that young people learn better and grow up happier and more confident when they are treated as individuals. 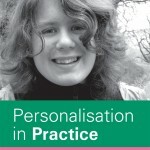 Person-centred approaches are particularly useful when thinking and planning for transition. You can learn more about the person-centred practices in education through our online learning website, HSAOnlineLearning.org. Using person-centred approaches with school staff. Using one-page profiles and learning logs with secondary school students. Using Working Together For Change in School Development plans.